Do you know someone who likes to put Sriracha sauce on everything? 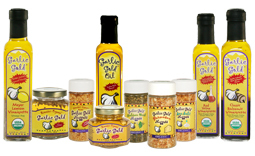 Tell them to combine it with Garlic Gold® for the ultimate chicken recipe! Our healthier alternative to Thai take-out, these juicy chicken thighs are coated with an addictive, spicy-sweet sauce you’ll love. Best of all, the recipe is fast and easy to make. Just whisk the four ingredient marinade together the night before, put everything into a ziplock baggie in the fridge, and the chicken will be ready to bake at dinner time. It bakes to perfection on a sheet pan in just 45 minutes, plenty of time to steam up some brown rice and green beans to serve alongside. Whisk together the Sriracha sauce, honey, lime juice, and Garlic Gold® Oil. Place the chicken thighs in a ziplock bag or tightly lidded container. Pour in the marinade. Marinate in the refrigerator for at least two hours, or up to overnight. Preheat the oven to 375ºF. Line a sheet pan with aluminum foil. Spread out the chicken thighs on the sheet pan, pouring the marinade over the top. Bake for 45 minutes, until the chicken is cooked through and the skin is crispy and beginning to bubble and brown. Don’t worry if the glaze is burning on the pan — the foil will make for easy clean-up! Serve with steamed green beans and rice. For a thicker glaze on the chicken, remove it from the oven halfway through cooking and spoon some of the marinade on top of each piece. 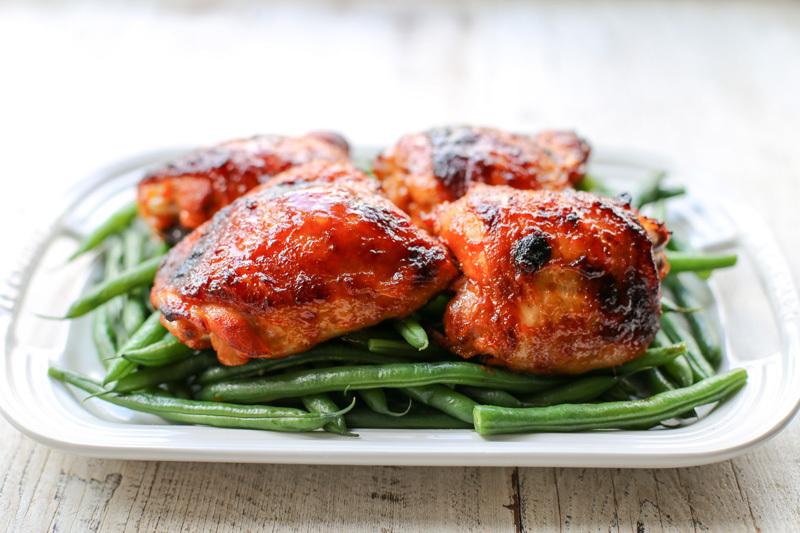 If you prefer a milder marinade, substitute sweet chili sauce for the Sriracha.